"Here comes a bike with combination of two stylish looking bike i.e-Yamaha Fz and Yamaha R1.Those who want to have fun with riding both bike can test drive this awesome bike." The front of Fazer comes with a color co-ordinated aerodynamic cowl to keep the wind blast at bay while the riding position has been tweaked for long hour, long distance travel and comes with special anti-skid seat skin. My favourite in design terms are the all new t win headlamps which do the lightening duties upfront to keep the vision clear and also bring it in line with global Yamaha Fazer DNA. Each and every part of Fazer has been designed with a lot of detailed attention and careful thought. This ultimate degree of perfection means even the slightest feature has not been overlooked. Only Yamaha ensures this kind of craftsmanship. Everything about this bike is big, the wide tyres, the huge tank, the beefy forks. Viewed side on it looks like a well built athelete on the start line flexing its muscles, waiting to smash all the records. Fazer is an urban-cool motorcycle built for great performance and easy-living functionality, because that’s the whole idea of a bike like this. The meters on the Fazer are same like other FZ Series bikes on sale in India - A Full Liquid Crystal Display (LCD). The speedometer, tachometer, trip meter, fuel gauge and other indicators are set in optimum position to keep the field of vision clear. Also, the engine starting signal is an example of the spirit of innovation. The Fazer, gets its DNA from the global Fazer series known for their sports touring, awesome looks. It has a “Look-at-me” appeal with the triple macho design concept giving it a concentrated form with excellent ergonomics. With its comfortable riding position and seat the rider can enjoy a week end getaway or head off on a touring holiday. Just like FZ16 and FZ-S, Fazer carries the Monocross suspension to ensure agile running performance and handling. Other than the front fairing and wider tyre New Fazer looks exactly the same like the FZ16 & FZ-S.
Fazer is powered by the same 153cc engine which powers the FZ16 & FZ-S, though i expected a new engine as the weight of Fazer is more than its siblings due to the front fairing. Power output is more or less the same. The air cooled, 4 stroke, SOHC engine which generates maximum power of 14 Bhp at 7500 rpm with maximum torque of 14 Nm at 6000 rpm. The 153cc engine of this bike is designed for the urban commute. The broad tyres, low center of gravity and high torque at low rpm makes it a breeze to drive in city traffic. The placement of this model’s ‘MidShip Muffler’ toward the center of the machine gives it a good concentration of mass, exhaust efficiency and handling. Fazer has the “140/60-17” size rear radial tyre with a 60% aspect ratio contributes to better grip and handling stability. But auto enthusiasts like me wanted something more - bigger engine!! At least they must have plonked a 180cc or 200cc engine to compete with the likes of Pulsar 180 and recently launched Apache RTR 180. 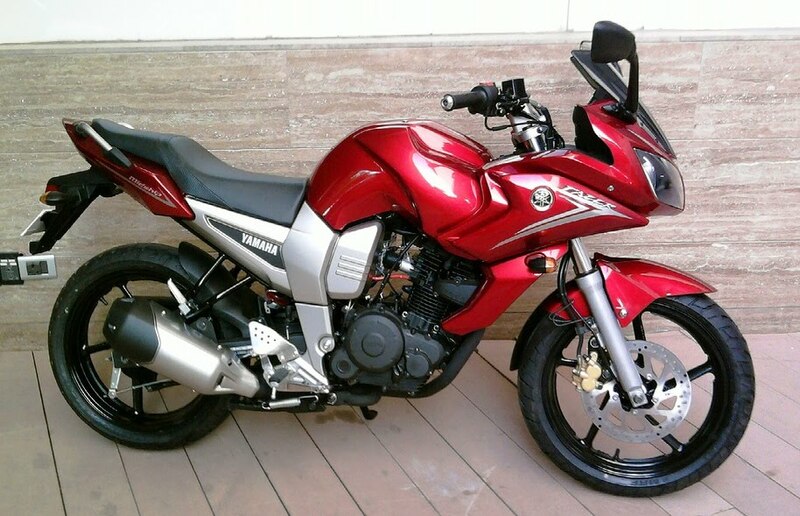 Yamaha Fazer has been priced at Rs. 72000.00 (Ex-Showroom New Delhi). At this price point, it is a bit on the higher side for a 150cc bike but overall design is very smart, quality levels are up to the mark, comes with full digital console and it is a YAMAHA!! Though one can buy the recently launched New Pulsar 220 for 70000 bucks but in comparison to Fazer, the Pulsar now looks dated with last generation styling. 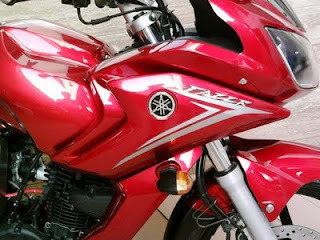 New Fazer is on any day a better deal than the Pulsar, Apache 180, GS150R & Karizma.